Having fun jamming in the kitchen! 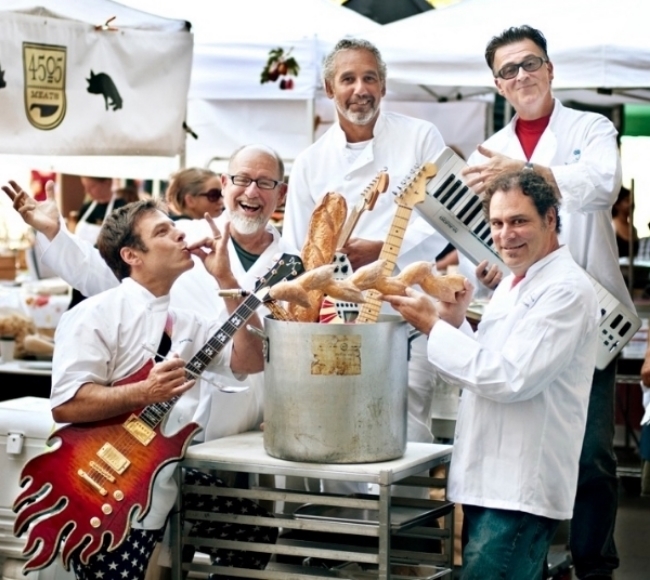 In 2000, I formed a band with a few close chef friends to play for the opening ceremony of that year's Meals on Wheels' annual fund raiser. We called ourselves "The Back Burner Blues Band". We've been playing together ever since! In 2010, I formed another band called "The Soul Peppers" to fill in when the chef's we're busy and unable to play the gigs. These "ringers" are world class musicians are always eager to do my gigs because they get to eat great food!